Does my credit union still need a Compliance Officer if we use outsourced solutions? What is Consumer Regulatory Compliance? What Questions Should My Credit Union Ask When Choosing a Compliance Solution? Like any good solution, the key is fit. The compliance solution should be scalable to meet the dynamic needs and risk factors of the Credit Union while remaining within the Credit Union’s financial capacity and/or constraints. Finally, a good solution must be a fit with respect to the organizational approach of the Credit Union and serve as a strong complimentary partner in the Credit Union’s overall Compliance Management System including key aspects such as monitoring, reporting and detection. Why Should My Credit Union Consider a Shared Compliance Officer Solution? Even the best compliance officer remains largely isolated within their credit union. While peer groups, conferences, and informal exchanges with other credit unions unquestionably aid the compliance officer, there remains a limit to those interactions. This is in contrast to the benefits of a shared compliance officer solution. The credit union gains exponential experience through combined synergistic efforts vs. relying on one individual. We’ve plowed right in to 2016 and groundhog day has come and gone. Everyone’s favorite Punxsutawney Phil luckily did not see his shadow, predicting an early thaw. However, the compliance new year brought about minor new regulatory changes; changes that could be casting their own shadow on your institution’s regulatory efforts. A quick review will help us all breathe a little easier as we look forward to April showers and May flowers. As financial institutions become ever more vigilant in monitoring for suspicious activity, it seems that criminals find ever more inventive ways to launder money and commit financial crimes. One of the more recent tactics involves using “dirty” money to purchase prepaid cards that can then be used by, sold by, or transferred to other parties. 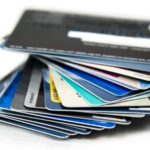 As a result, federal regulatory agencies recommend financial institutions apply their Customer Identification Program (CIP) when they issue prepaid cards.